1)Minimum number of coins for summing X. 2)The most (least) costly path on a grid (dynamic time warping). to move right or down. The examples are taken from “Competitive Programmer’s Handbook” written by Antti Laaksonen. This entry was posted in C++, Machine Learning, Matlab, Tutorials and tagged C++, DTW, Dynamic Programming, Dynamic Time Warping, Levenshtein, matlab, Seam Carving on December 24, 2017 by admin. 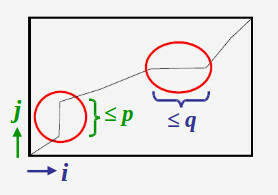 Dynamic Time Warping (DTW) is a method to align two sequences under certain constraints. For instance, two trajectories that are very similar but one of them performed in a longer time. The alignment should be is such way that minimizes the distance between these two sequences. Here I have done DTW between two-time series with python. I found a good c++ library for Fast Dynamic Time Warping and I developed my wrapper to make a ROS package for that. Here you can download my code at GitHub. The number of possible warping paths through the grid is exponentially explosive. The image is taken from . 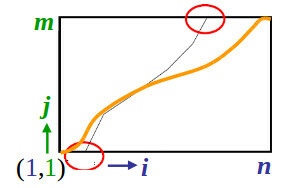 monotonicity: The alignment path does not go back in “time” index. continuity: The alignment path does not jump in “time” index. 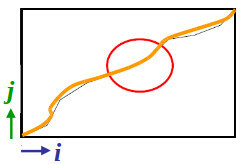 boundary conditions: The alignment path starts at the bottom left and ends at the top right. The image is taken from . warping window: A good alignment path is unlikely to wander too far from the diagonal. 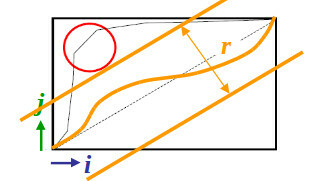 slope constraint: The alignment path should not be too steep or too shallow. This entry was posted in C++, Machine Learning, ROS and tagged DTW, Dynamic Time Warping on November 17, 2017 by admin. 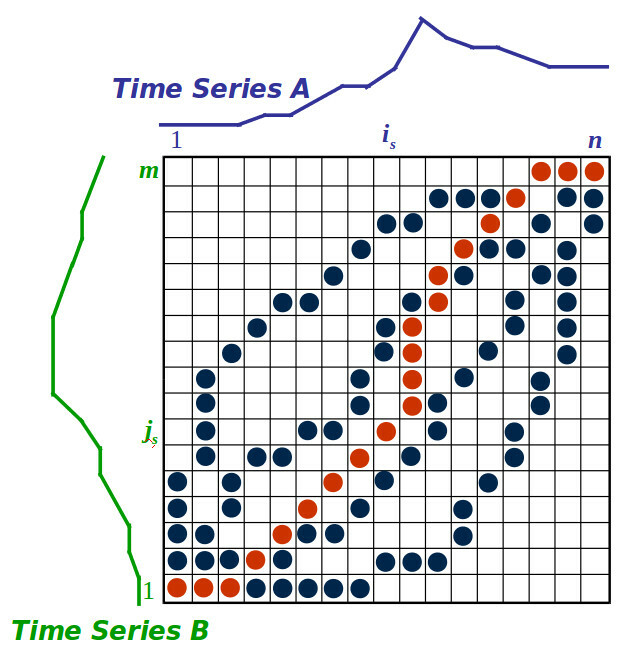 Dynamic Time Warping (DTW) is a method to align two sequences such that they have minimum distance. 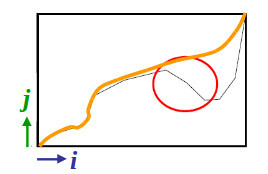 For instance, two trajectories that are very similar but one of them performed in a longer time. Here is an example of my code with python. Here is my ROS package with C++ for DTW. DTW applied two sinusoidal time series. This entry was posted in Machine Learning, Tutorials and tagged DTW, Dynamic Time Warping, machine learning on April 26, 2017 by admin.